There is a perfect shade for every car, let us help find the perfect match for you. 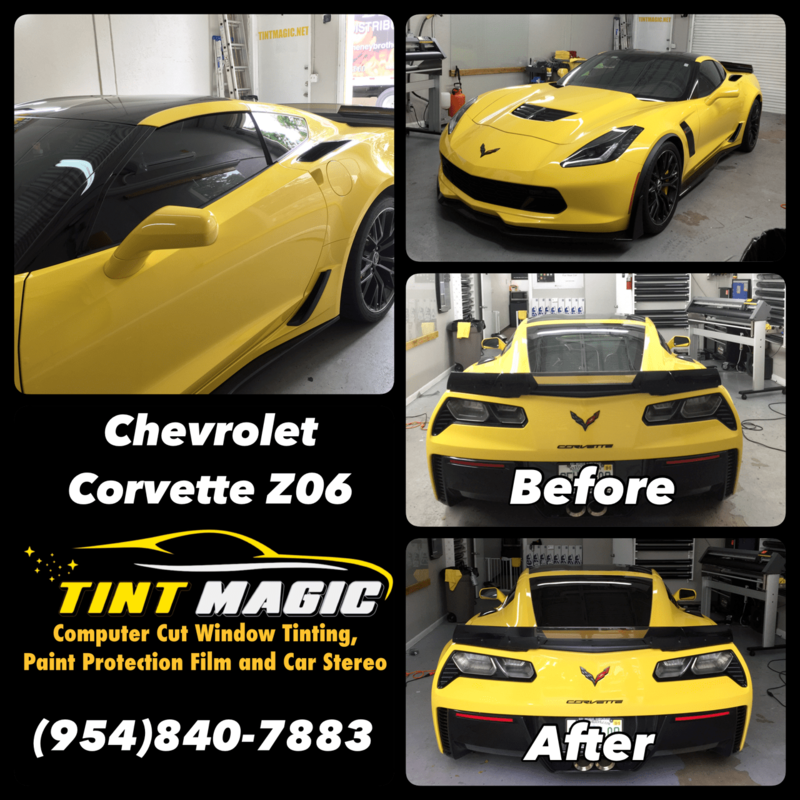 We guarantee you will get the best car window tinting in Coral Springs, Parkland, Tamarac, Sunrise, Weston, Coconut Creek and Boca Raton. Car window tinting is a great way to improve the look and comfort of your vehicle or interior space. Tinted windows look great, provided privacy and keep you cooler and more comfortable. Interior surfaces are less likely to crack or fade… plus, it makes the glass safer. 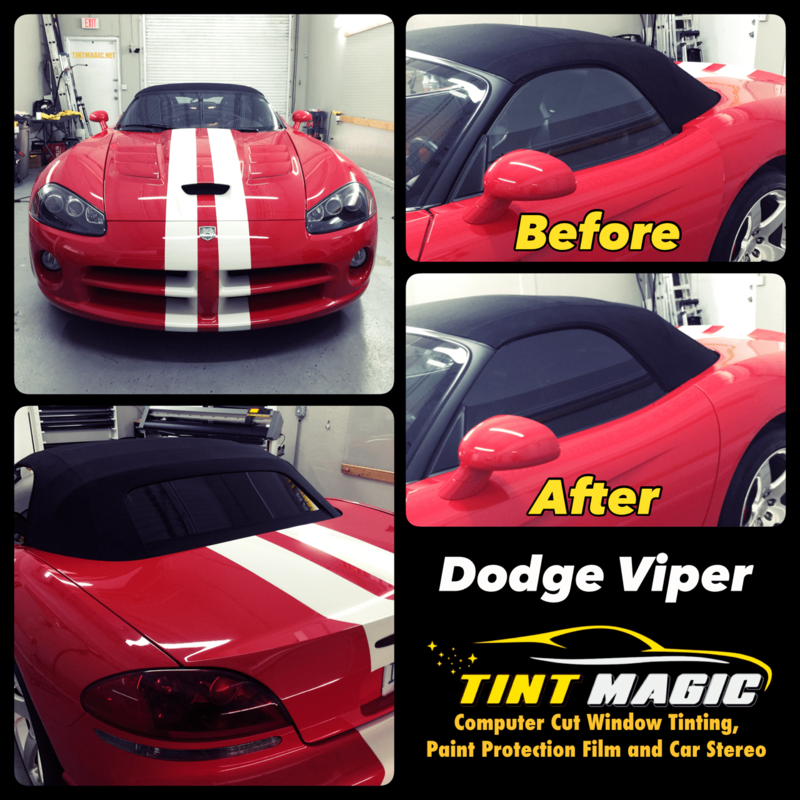 Car window tinting is one of the most popular upgrades requested by new car owners. Window tinting not only provides comfort and security, but it also increases the value of your vehicle. With Tint Magic Window Tinting, you get a high quality window tinting product and expert installation. 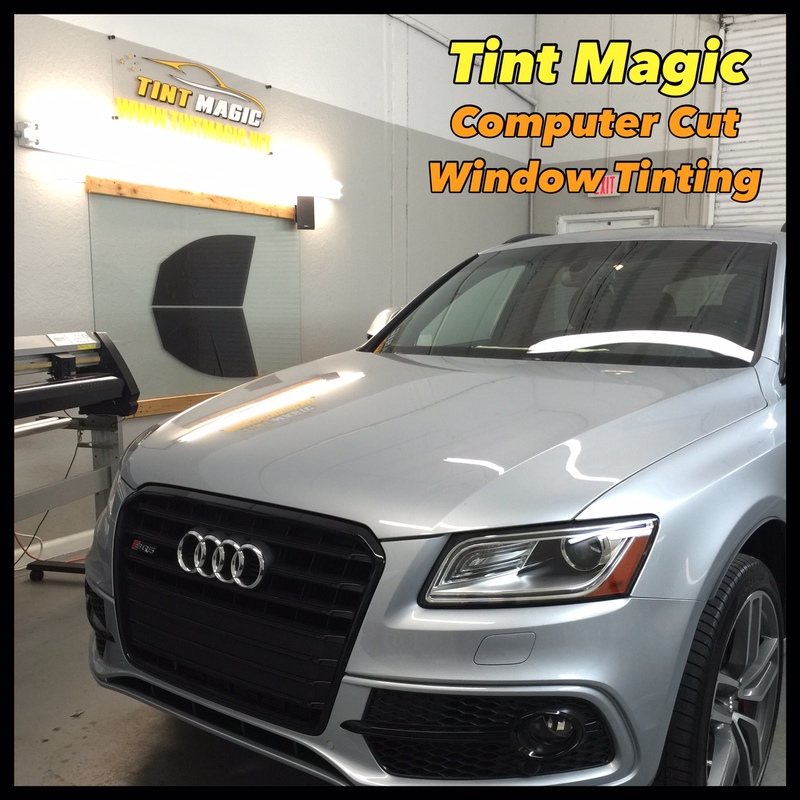 Tint Magic Window Tinting use advanced cutting software to pre-cut window films for a perfect fit everytime, we just need the year, brand and model of your vehicle and submit it at the computer and it show us and cut the patterns perfectly. 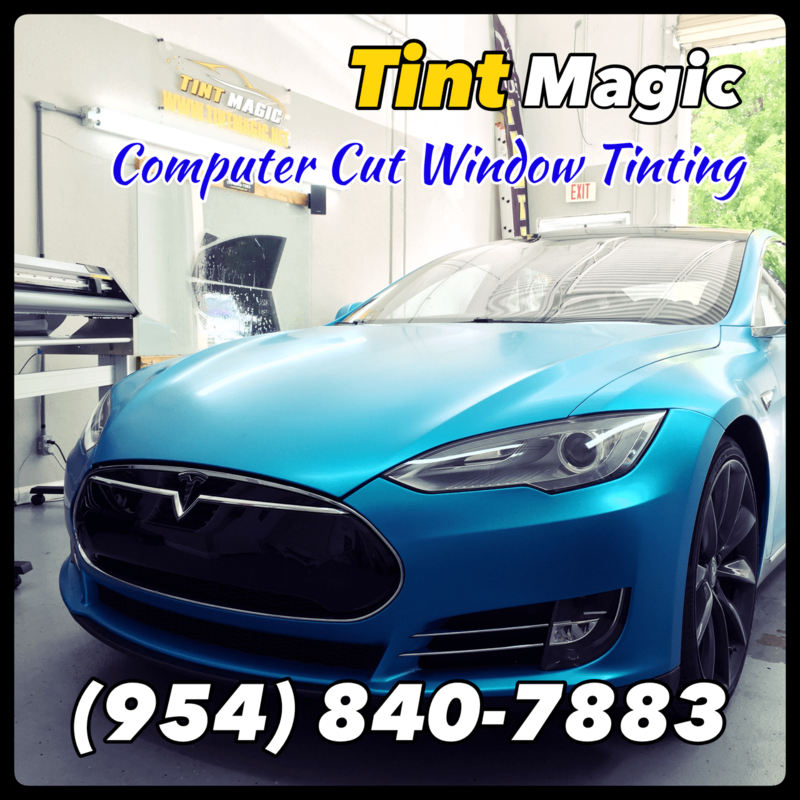 Call us today for a free window tinting quote: (954) 840-7883 We are located at 11344 Wiles Road Coral Springs, 33076.